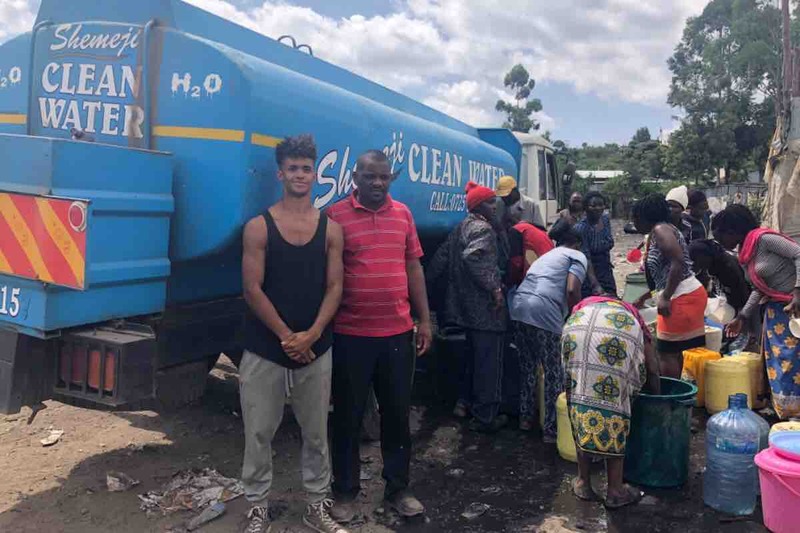 Clean water for Kenya: Every week a truck is sent to the slum of Gioto in Nakuru, Kenya to deliver clean water. Due to the slum being built on a county dump site (The residents live amongst the garbage), they have no access to running water. For $55 per week, we supply them with a constant supply of running water. Food for the Elderly (Kenya): 32 seniors in the Gioto Slum receive a weekly supply of rice, vegetables, and nutrient dense foods that would otherwise would be difficult to attain due to their inability to make a living wage. For $90 per week, we supply them with a continuous source of food to sustain their health & livelihood. Pizza for the Homeless (Los Angeles): Everyweek we feed 100 homeless people (Normally pizza) in Los Angeles’ Skid Row & the San Fernando Valley. Also supplying them with water, clothes, blankets, tents, & other things to make life on the streets a little easier. The cost runs at around $100 a week currently.